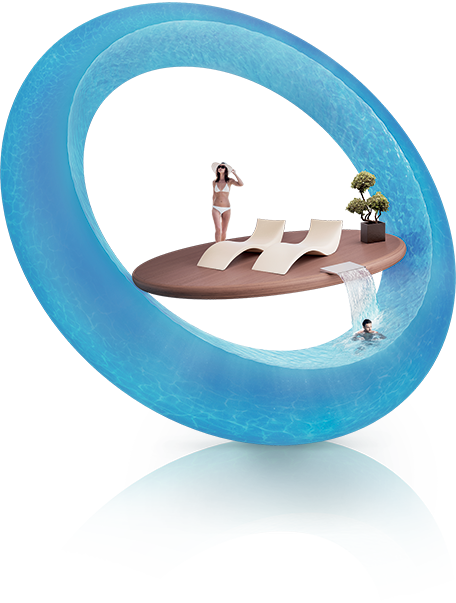 The hospitality industry offers a great opportunity for creativity in luxury pool design. Myrtha Pools’ extensive project experience allows us to create exceptional indoor and outdoor pool facilities. Additionally, our wellness pools and spas appeal to many hotels catering to their guests’ needs for relaxation, therapy and pampering. Hospitality installations can be exhilarating with pools suspended on rooftops or designed into dramatic spaces. At Myrtha Pools a dedicated team of designers, engineers and consultants support our hospitality clients throughout the planning, design and installation of luxury pools and customized wellness centres.